Amazon has launched SMS (short message service) for its Alexa devices, according to a TechCrunch report. The feature needs to be enabled on the Android mobile app and works in conjunction with the free calling feature announced last year, along with the user's imported address book. The feature works only for sending SMS messages from Android phones and within the U.S. It requires that the Alexa app be installed on a mobile device. Amazon said it can't offer the feature for iPhones or for third-party Alexa speakers, although it can send messages to any device that receives SMS, including iPhones, according to CNN. Despite the failure of the Amazon Fire Phone, Amazon continues to make inroads into the cellular phone world through its Alexa devices. With the addition of SMS messaging in conjunction with Android phones, Amazon is expanding the usefulness of Alexa — the key to future growth — as well as gathering personal data. This announcement comes just days before Apple is set to launch its HomePod, which will also include SMS messaging, as do similar devices from Google. The Apple Siri and Google Assistant can send messages from both Android and iOS phones, however, while Amazon is for now confined to Android devices. This represents another effort by Amazon to transform the voice-assisted devices from audible entertainment hubs to more complete communication tools. This should enhance their competitive posture as the market space heats up (although Amazon is already far ahead), and add to its utility in business settings. "Alexa's new capability allowing consumers to send SMS messages to contacts using their voice will only accelerate regular usage and additional sales of voice devices," Luke Starbuck, vice president of marketing at Linc Global, wrote in an email to Retail Dive. "This announcement also demonstrates, yet again, the unrelenting increase in the utility value of voice devices." Amazon has been easing into the voice and message business for some time. It initially introduced free calls and messaging last year, but only between Echo (Alexa) devices. The company solicited users' address books, which led to some controversy, but the contacts were necessary for messaging. There is also a capability to use Alexa with a landline phone for calls, but a $35 add-on is required. The app itself does not send messages, only the Alexa device does. Users then specify if they want to send a "text message," or ask Alexa to send a "message," which will be routed to Alexa devices first, then SMS if Alexa devices are not available. "The growing functionality from Alexa and additional voice-assistants will mean there will be more devices in shoppers' kitchens, living rooms, bedrooms and bathrooms moving forward, creating an opportunity for brands to be a real part of consumers' daily home lives," Starbuck said. 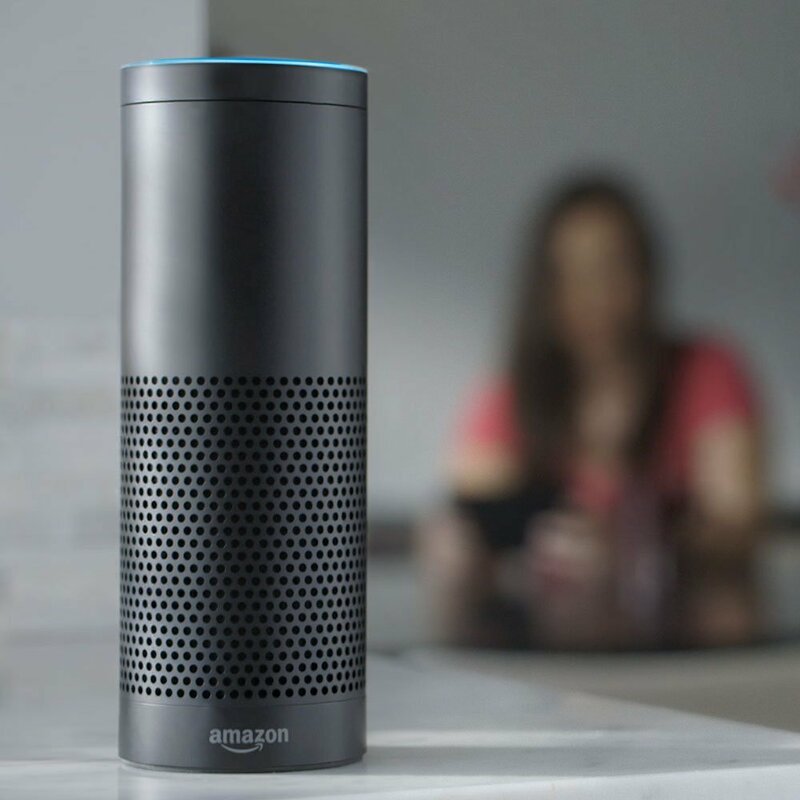 "Brands that capitalize on delivering momentary touchpoints and interactions with voice devices throughout the shopping journey will benefit by increasing the frequency of engagement along with customer satisfaction and shopping frequency."